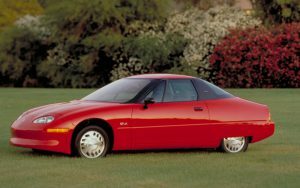 More than 20 years ago GM produced the first mass market electric car: the EV1. It was deemed as unprofitable by GM and subsequently was terminated in 1999. GM spent what I would assume to be millions of dollars crushing the EV1’s to end their development of electric cars. Fast forward to today. 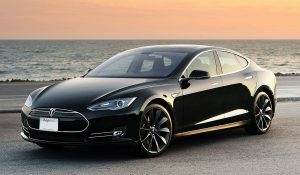 Elon Musk is heralded as the leader of the electric car movement and his company, Tesla which is valued at $60 billion, is at the forefront of the electric car revolution. So, what can Connected Products / IoT Solutions today learn from the experiences of the electric car? Comfort, Trust and Maturity of Technology: This is not to say that the technology was immature in the 90’s. We had been storing electricity in batteries and reusing it for more than 100 years. However it more than just the technology, but the consumer… the CUSTOMER… who will be looking for this technology to be in state where it’s mature enough that they trust and adopt it. Electric cars are here now. People have had many years to work with the Toyota Prius, Chevy Volt hybrids, and Nissan Leaf all electric vehicle. Consumers now can finally believe, through touching and feeling that electric cars are the future and it’s not going anywhere. I believe we are definitely in that similar touching and feeling stage with IoT today. Some People Will Think You Are Crazy: The thought of electric cars not only ruling the roadways, but being self driving in the 1990’s was crazy. How would a computer ever be able to adjust and react to things in real-time? That was reserved for aircraft and space exploration. That technology will never reach a level where every car has that capability! Fast forward 30 years and we are at the cusp of countless startups working on making this a reality. Building intelligence into products may seem foreign today, but I firmly believe that in the near future, like the electric car, there will be a “DUH! moment” when companies and consumers realize that there is huge value and cost savings in having their products connected. As adoption takes time to solidify, I am confident we are ready for connected products to take a hold in the world. Like the adoption of electric car so many years since it was first introduced to the market, we are beginning to see value in ordinary, everyday objects being connected through the internet. It’s these products and devices that will spawn a whole new world that is more intelligent and connected than we ever thought possible. The term IoT was coined in 1999, right in that era with the electric car. We’ve seen the trajectory of the electric car build over the past 20 years and I’m convinced that for the same reasons the IoT and connected products are not far behind. Exciting times are ahead!